​​Forever Living Products has dedicated itself to seeking out nature's best sources for health and beauty and sharing them with the world. Our complete family of aloe vera drinks, skin care products and cosmetics brings the remarkable properties of aloe to the entire body. Add that to our full line of nutritional supplements and products from the bee hive, and you have a complete system for naturally achieving better health and beauty. Forever Living Products and its affiliates are the largest growers, manufacturers and distributors of aloe vera in the world. FOREVER is vertically integrated, controlling everything from the fields to the factory, to research and development, to packaging, shipping and distribution. FOREVER’s exclusive line of health and beauty products for nutrition, skin care, weight management and personal care have changed the way millions feel, look and live! Simple Business. High Values.The caliber of our products and the simplicity of the business plan means anyone can improve their quality of life. Some begin as customers in search of better health products, and they can’t help but share their great product experiences. Others see the business potential immediately and start a successful home-based business. 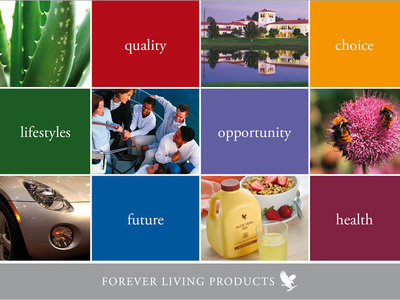 FLP- Forever Living Products offers you a complete line of nurturing products based on 100% pure aloe vera gel. Harvested by hand from FLP owned plantations and immediately stabilized for purity, our aloe enhances your body—inside and out—with products ranging from age-defying facial treatments to delicious, antioxidant rich drinks. ​Produits Forever Living - qui sommes-nous? Avant sa création, Forever n’était qu’un rêve et nous savions que pour le réaliser, il était nécessaire que de nombreuses personnes fournissent des efforts considérables. Chez Forever, nous avons alors créé une équipe intègre, enthousiaste, prête à transmettre sa passion et possédant les mêmes valeurs. Produits Forever Living a été fondée en 1978, avec une bonne dose de rêve et de dur labeur. L'idée était d'aider quiconque désirant un avenir meilleur à l'obtenir par ses propres moyens. Forever Living Products a été fondée en 1978, avec une bonne dose de rêve et de dur labeur. L'idée était d'aider quiconque désirant un avenir meilleur à l'obtenir par ses propres moyens. Plus de 35 ans plus tard, Forever Living est devenue une société de plusieurs milliards de dollars, présente dans plus de 160 pays. 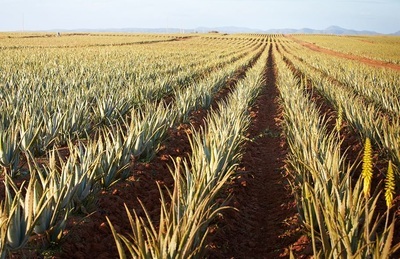 Nous produisons et vendons des douzaines de produits de bien-être uniques et bénéfiques, fabriqués à partir d'un des plus purs trésors de la nature, l'aloe vera. Unique en son genre, notre opportunité commerciale rétribue les personnes qui, comme vous, partagent nos produits avec d'autres. Partout dans le monde, plus de 9,5 millions de distributeurs ont découvert la force de l'exceptionnelle opportunité offerte par Forever Living. Des millions de gens savourent une existence plus accomplie, plus saine et plus prospère grâce à une petite activité qui commença par un simple rêve. Forever Living Products was founded in 1978 by Rex Maughan, chairman of the board and chief executive officer. It started on a little more than dreams and hard work. It was designed to heanyone who wanted a better future to attain it on their own. Nature's purest gift - Aloe Vera. The unique business opportunity provides and gives people like us - aloeverancl.com sharing our experience with others. Over 9.5 million distributors worldwide have discovered the power of Forever Living once-in-a-lifetime opportunity to attain better health and generate income at the same time for the future. providing a reliable, profitable business opportunity to people like you. Since any business relies on a network of suppliers, manufacturers, and Distributors, one hiccup in this supply chain affects the final product. If a supplier raises their prices, Forever Living would either be forced to raise their prices or suffer considerable losses. Rex knew it wasn’t in the best interest of Forever Living to rely on other third-party vendors to deliver the kind of quality he demanded. 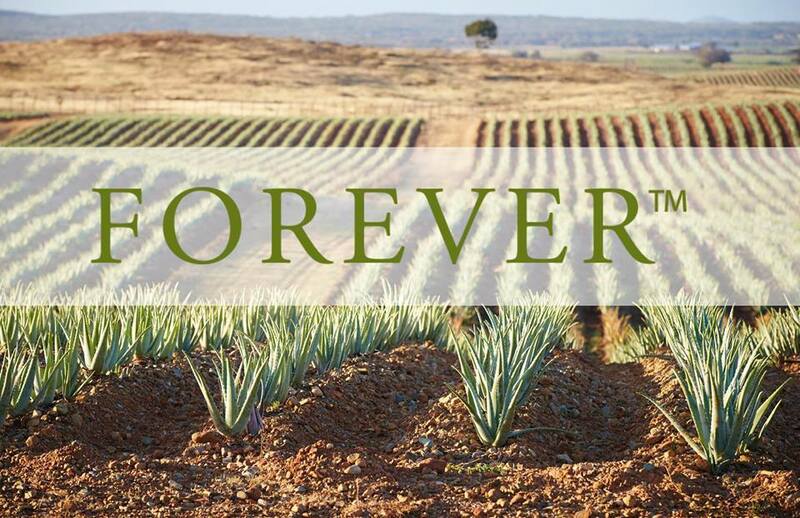 So, Forever Living secured its own aloe plantations, manufacturing and packaging plants, and storage facilities, eliminating the need for third-party vendors. 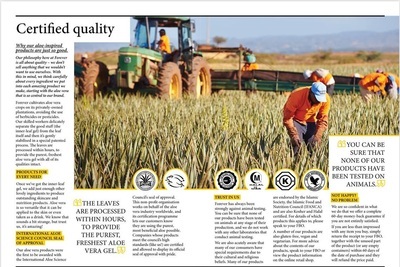 Quality, Every Step of the Way - This wise strategy enables Forever Living Products to control quality and cost every step of the way—starting with raw materials and ending with the finished products you enjoy. Forever Living is sheltered from skyrocketing prices and economic struggles. Forever Living is a stable company with a proven track record of growth and profitability. It’s built on a solid foundation. It’s the only business opportunity that offers you integrity through and through, the only business that guards your success like its own.